The FDA Peripheral and Central Nervous System Drugs Advisory Committee meets today to review ACOR’s Fampridine-SR for improvement of walking in patients with multiple sclerosis . We have been negative on ACOR from the very beginning of Fampridine saga because even if the drug works as ACOR promotes, it is not a very good drug. 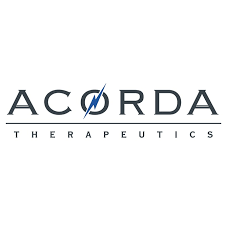 Moreover, the number of participants in ACOR studies have been relatively small compared to what we think it should be to fully evaluate the risk of seizures. We also think the studies are flawed in how they measure the walking ability. Measurement of anything in MS patients is subjective at best in the first place. ACOR is a highly promotional company and fund flows have been consistently positive, therefore we have been reluctant to issue a sell signal. No matter how FDA review comes out, this stock should be sold short. If the review is positive, consider shorting on spikes up. Our ultimate target is $5.